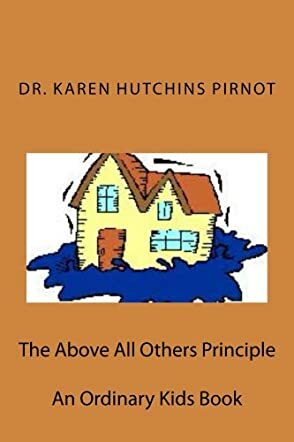 Dr. Karen Hutchins Pirnot is a Clinical Psychologist and author. She writes family-friendly books for those from ages two to one hundred and two. She has won multiple awards from Readers Favorite and her books are used at schools, colleges and libraries across the nation. Dr. Pirnot's book AS I AM was co-authored by Garret Frey, a former patient who struggled to obtain a free public education as a quadriplegic, ventilator-dependent child. He fought through the courts, a battle which ended up before the judges of the US Supreme Court. The judgment in the case is now a hallmark decision affecting thousands of handicapped children across the nation. The 5 book, mid-grade series called Ordinary Kids features various special needs people (children and adults) in everyday situations. Tapping into her work as a psychologist, Dr. Pirnot puts her characters into realistic but difficult situations and then allows them to dig their way through to successful results. This approach allows both child and adult characters to feel a sense of efficacy in their own abilities. The autobiography Just A Common Lady details Dr. Pirnot's own struggles as a child. Her mother died at a young age, leaving Dr. Pirnot and her siblings in the care of various family members for years. The lessons she learned from these caretakers undoubtedly influenced her multivariate approach as a practicing psychologist. Eight year old Allie was swept away during a flash flood. The spunky little girl kept her head by remembering things her grandfather had told her. She thought through her situation and kept her head. "Clear headed action" was what he always said. Plan A formed in her mind and would have to do until plan B made itself known. She grabbed a passing piece of wood, "Big Red," and held on for her dear life. When she saw a small blue bundle and realized what it was, she grabbed it and would not let go. When the waters calmed enough so that she could walk, she realized she had traveled a long way from home. Allie's mother Abigail had rushed her son Peter to the hospital for safety. Peter had been injured in an accident 3 years previously and was left a quadriplegic. He had come to accept his life as a cognitive. A large part of his recovery was thanks to his sister Allie. She was a remarkable little girl. Peter knew she would survive, and yet there were moments of doubt as he and his mother waited five long nights and six days for news concerning Allie. There is so much I want to tell you about this book. However, that wouldn't be fair. You'll just have to read it for yourself. This book is considered for 4th-6th graders, and it is perfectly appropriate for that age group. I hope adults will also enjoy this book. I certainly did. Karen Pirnot is one of my favorite children's authors. Dr. Pirnot is a Licensed Clinical Psychologist; she has spent most of her career working with juveniles. Dr. Pirnot has a gift for encouraging, building up and offering hope. She has written several award winning books. "The Above All Others Principle" is the sequel to "Peter, the Pole and the Knob". She plans to write a series of books featuring Allie and Peter. The fact that Dr. Pirnot cares deeply for children shines through her books. She has also published several books with her grandchildren. Pirnot's characterization is one of her strong points. Her books show triumph through adversity. Dr. Pirnot, you did it again,you made me cry. Your books are always heartwarming and heart wrenching. Thank you Dr. Pirnot for teaching all of us "The Above All Others Principle".